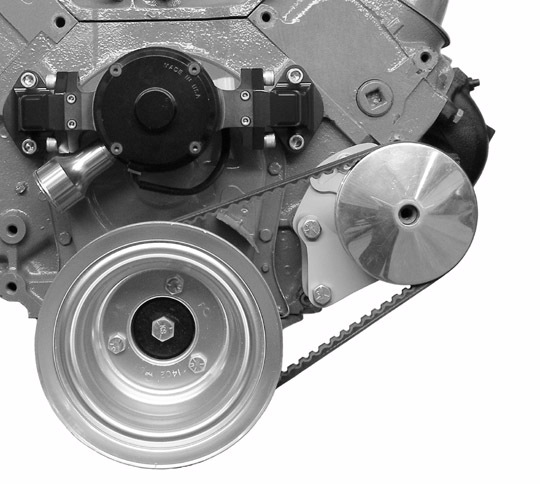 This mid-mount alternator bracket is designed to work with CSR, Proform (and possibly other) electric water pumps. The bracket bolts solid to the head and water pump, and lines the alternator up with a long water pump crank shaft pulley. This bracket bolts to the front of the block and front of the head. Mounts the pump in approximately the same position as the factory long water pump bracket. This bracket is designed to be used with the metric G.M. remote reservoir type 2 pump. 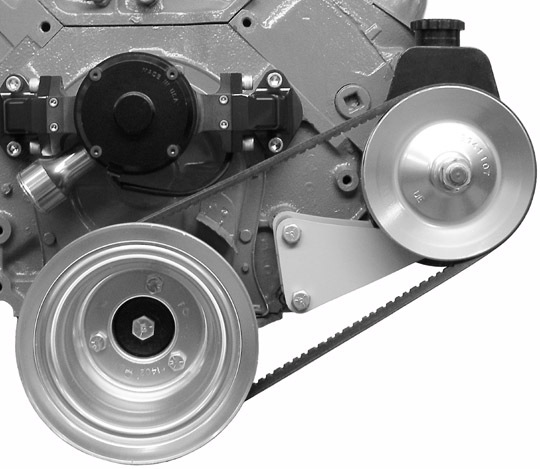 Designed for street rod applications, it sits high enough to clear most chassis parts and steering gears. Pump is driven off the inner groove of a 3 groove crank pulley. 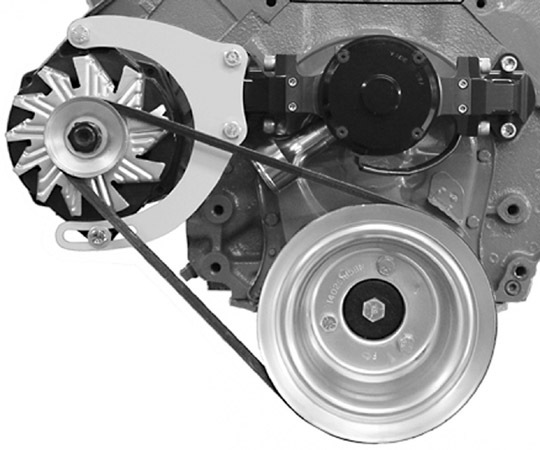 Pump uses an aluminum V-belt pulley available from us or other street rod suppliers.